There’s no question that customer reviews are among the most effective sales tools in today’s marketplace. In fact, according to Fan and Fuel’s survey, a shocking 97% of customers admitted that reading reviews made an impact on their decision to buy. The reason why so many customers are heavily influenced by reviews is that they view them as trustworthy content. Consumers are generally fairly skeptical of branded messaging and advertising, but they tend to trust other customers—as they are a third-party with no ulterior motives (ideally). Generally, a top priority for PR teams is to foster good relationships and positive sentiment with audiences. Since customer reviews are so influential, it only makes sense to include them within your PR strategies. Rather than trying to convince people to trust your business or prove your worth, why not let your happiest customers do the work for you? Here are three ways to effectively incorporate your business reviews into PR and marketing and build a more positive brand perception. Although many customers actively seek out reviews when they are interacting with a new business, they are far less likely to leave feedback on their own. Unfortunately, many customers won’t even think to leave a review unless they have a noteworthy experience (typically an extremely negative one), which can obviously hurt your brand’s reputation. However, although most customers won’t go out of their way, nearly 70% will leave a review if they are asked to do so. If you are using a customer review management system (which you absolutely should), be sure that every single customer is asked to leave feedback via an email invite or another form of communication. The key to getting customers more involved in your PR is encouraging detailed information about their experiences and perception. 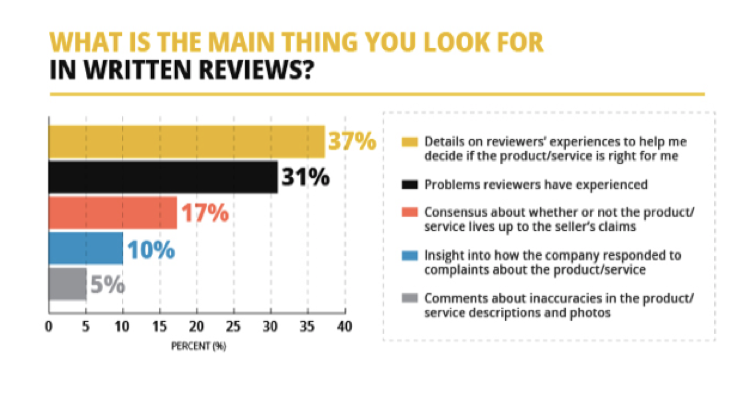 According to the previously mentioned study from Fan and Fuel, 73% of shoppers said that written reviews were preferred over star ratings because they want to know the details of that reviewer’s experience. Some of the Trustpilot reviews are a great example of how to prompt customers for thorough feedback. Rather than asking customers to cover the basics, Trustpilot requests details on multiple aspects of the company, including how easy the product is to use, features and functionality, and customer support. Reviewers are also asked to write out the pros and cons of their experience, along with any recommendations and advice to pass along to other customers. These types of detailed reviews will give your PR team much more content to work with while simultaneously offering new customers the information they are looking for. Longer-form feedback also shows that you care about customer experiences and want to improve them in any way possible. Furthermore, using a system like this also opens up an opportunity for re-targeting reviewers later on by sending a thank you for a positive review or following up if they report a negative experience. At its core, PR is used to shape public perception of your business or its products. One of the best ways to do so is through brand storytelling content, whether it be press releases, case studies, or self-published content like blog pieces. Customer reviews provide the perfect insight to the things most important to your audience. Take a look at what your positive reviews have in common. 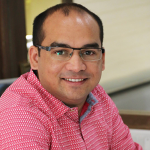 Are customers blown away by fantastic customer service? Use this kind of phrasing to fuel your storytelling content by focusing on the topics that resonate most with your audience. You need to understand the common patterns and factors that customers value, then use reviews to promote them. 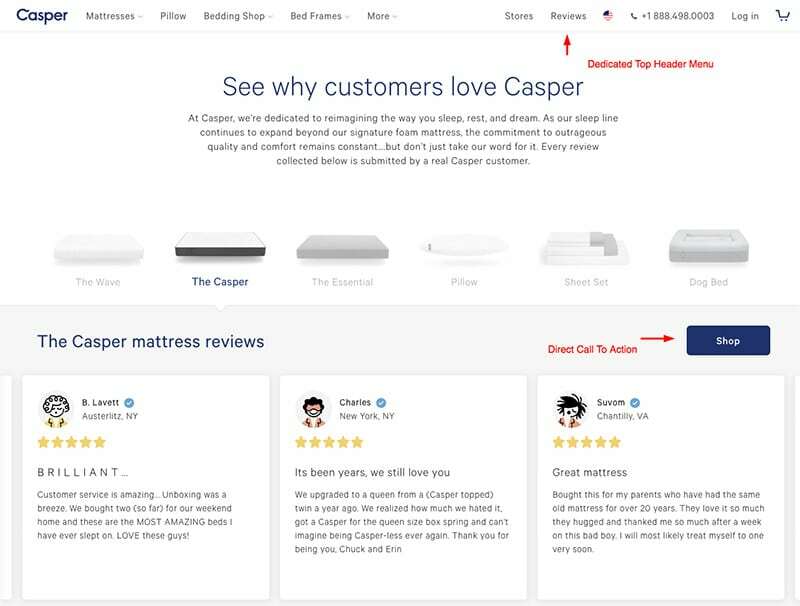 The mattress company Casper does an excellent job of this through their marketing and website. Nearly all of their content is based on their reviews, and their main brand tagline is that they are “America’s #1 Rated Mattress. ” Much of their advertising features reviews and attributes to the positive traits of their products. Remember, at some time or another, your brand will get some negative feedback. However, this is a great opportunity for positive PR if the situation is handled correctly. The key here is how you respond and react to negative sentiment. Responding to a negative review is not just important to that reviewer; it can impact future customers as well. 89% of shoppers look to see how companies respond to bad reviews because it shows just how well the business treats their customers. Be sure that responses are made public, although private conversations with customers may be necessary for further details. Issue a reply via social media or through a direct comment from the negative review, and offer the proper response. If the fault does lie with the company, be sure to issue a sincere apology. Offer some form of compensation if necessary to remedy the situation, such as a refund or replacement. Twitter is a great platform for turning around negative sentiment because it is extremely public and fast-paced. It’s an easy way for customers to report an issue and for businesses to respond in real-time. 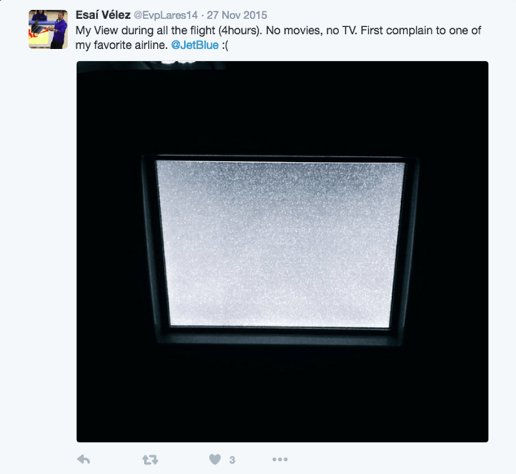 For instance, a customer on a JetBlue flight tweeted about their broken TV. 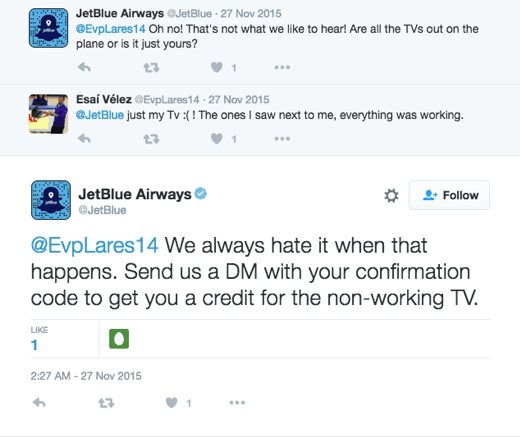 JetBlue responded just a few moments after and offered the customer a refund due to the negative experience. This kind of response quickly turned the situation around (publically), and the customer was probably quite pleased with the outcome. What your customers feel and say about your business will have a much stronger impact on consumers than what the brand itself messaging says. By using customer sentiment throughout your PR strategy, you can lay a foundation of trust and provide customers with the kind of content that has a strong influence over their purchasing decisions.